This statistic shows the median amount charged by mobile development companies worldwide to develop applications for the three major platforms, as well as cross platform development, as of 2015. 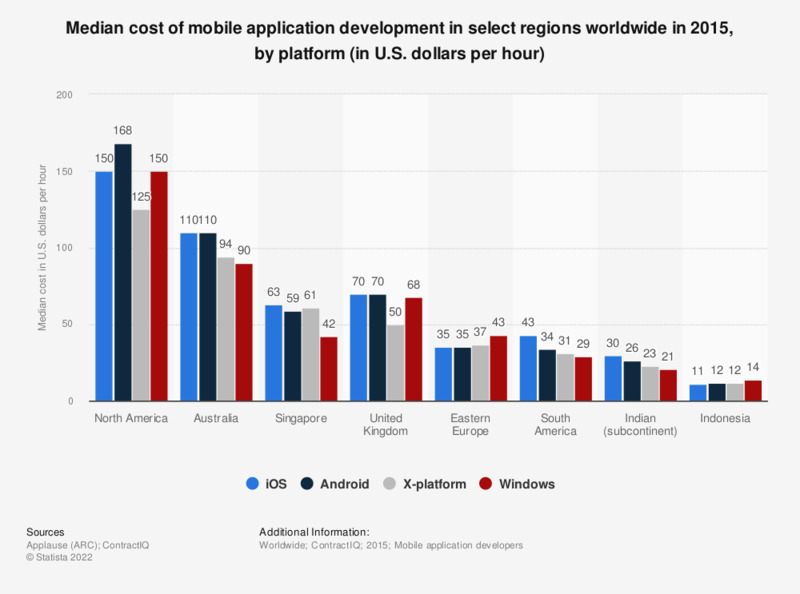 As of that time, Indonesia provided the cheapest mobile development charges of the countries surveyed, able to develop mobile applications for the Windows platform at a rate of 14 U.S. dollars an hour. The growth of mobile development studios in Singapore and Indonesia is linked to smartphone adoption in those countries.